Standard “Sleeve hitch”. 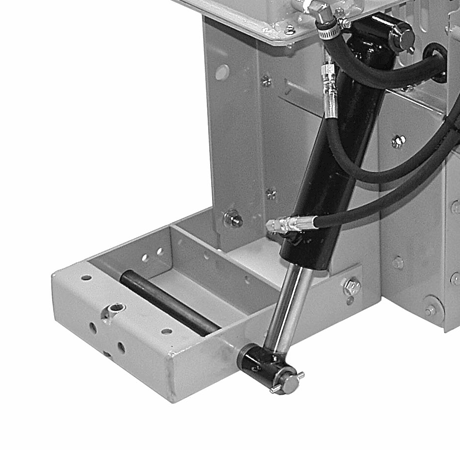 Used in conjunction with the PP35 Power Pak Kit, gives the operator fingertip hydraulic control of the rear sleeve hitch. Includes the cylinder and hoses. Factory Assembled if purchased with a MAGNATRAC package, unless backhoe is purchased along with the HRH35 Hydraulic Rear Hitch, then the backhoe is semi-assembled instead. Rear hitch comes with a two pin or single pin mounting for rear attachments and a drawbar, (not shown).